Hostal de la Mancha offers a pleasant family atmosphere situated in the north central sector of the city, attention to detail to make guests' stay is a pleasant experience. It has an excellent location for both tourists and business travelers, is located in the La Floresta, near the administrative economic sector of the city, and just minutes from downtown and major shopping centers. 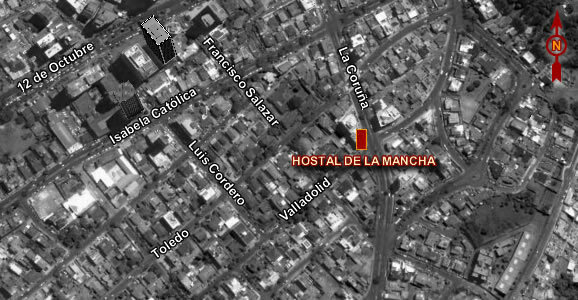 The Hostal de la Mancha has 20 rooms can accommodate 40 people, all equipped with private bathroom, hot water, cable TV, refrigerator, mini-bar, hair dryer and wireless internet. All rooms are individually decorated and offer everything you need to feel at home.